Although drinking tea has been associated with health benefits for centuries, only in the last few years has its medicinal properties been scientifically investigated. A recent Harvard health newsletter not only documented the healthy benefits of tea but listed tips on how to get the most out of each cup. The newsletter says that tea’s health benefits are mostly due to its high flavonoid content, plant-derived compounds that are antioxidants. Green tea is the best source in a group called catechins. In test tubes, catechins are actually more powerful than vitamins C and E in slowing oxidative damage to cells and appear to have other disease-fighting properties. Studies have also found an association between drinking green tea and the reduced risk for several cancers, including, skin, breast, lung, colon, oesophageal and bladder. Additional benefits for regular consumers of green and black teas include a reduced risk of heart disease. The antioxidants in green, black and oolong teas can help block the oxidation of LDL (bad) cholesterol, increase HDL (good) cholesterol and improve artery function. A Chinese study published recently in the Archives of Internal Medicine showed a 46%-65% reduction in the risk of hypertension in regular consumers of oolong or green tea, compared to non-consumers of tea. Drink a cup of tea a few times a day to absorb antioxidants and other healthy plant compounds. Allow tea to brew for three to five minutes to bring out its catechins. 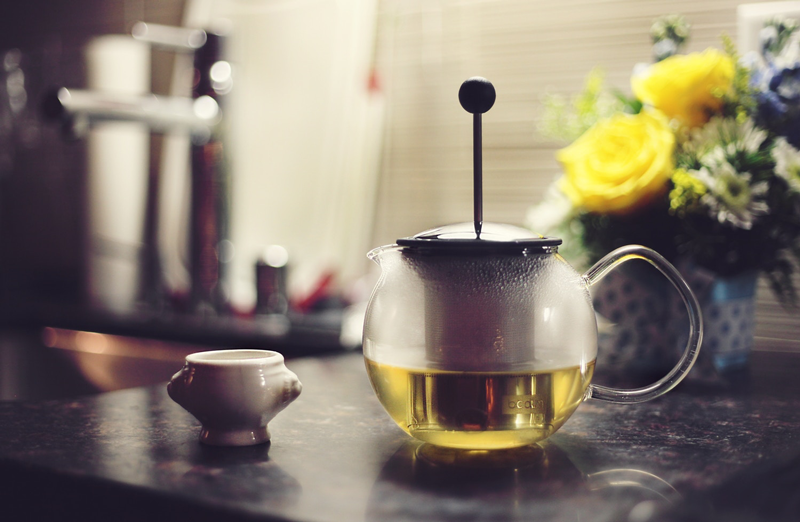 The best way to get the catechins and other flavonoids in tea is to drink it freshly brewed. Decaffeinated, bottled ready-to-drink tea preparations and instant teas contain less of these compounds.